Whether you are a parent stocking up on food for your family, a student trying to eat healthier on a budget, or a diabetic trying to control your condition, grocery shopping is something we all do. It’s also something many of us could do better. 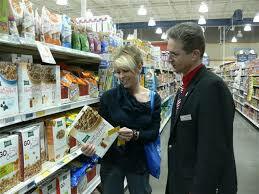 Join Shawnee Health Care Nutrition Services for a Grocery Store Tour Thursday, April 12 from 1pm-3pm. During this interactive tour, you will learn about reading and comparing nutrition labels, buying in-season fruits and vegetables on a budget, and how to make the best food choices for weight loss, diabetes, and lowering cholesterol. Please call (618) 519-9200 to reserve your spot!